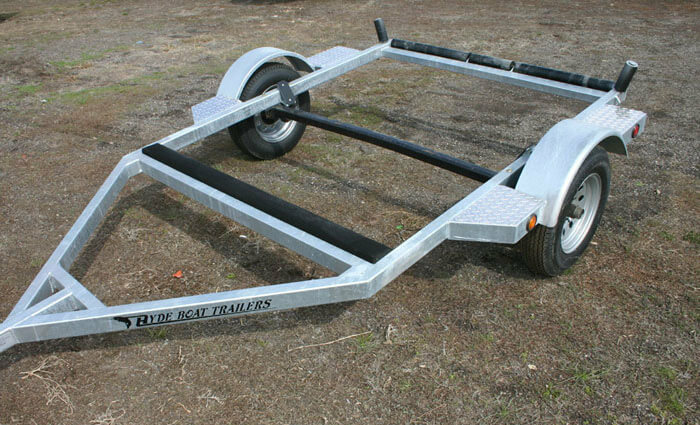 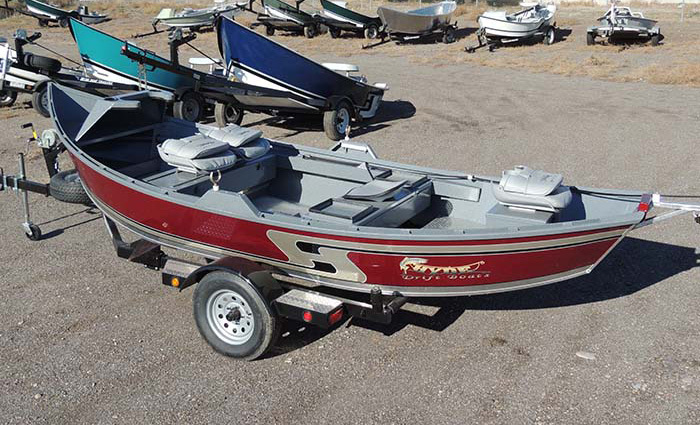 This 2006 RO High Side come with a front and rear fiberglass storage boxes, rower’s storage bench, front and rear knee braces, a bow storage compartment, rod storage, and a galvanized trailer Every used boat sale includes the pictured trailer unless otherwise stated. 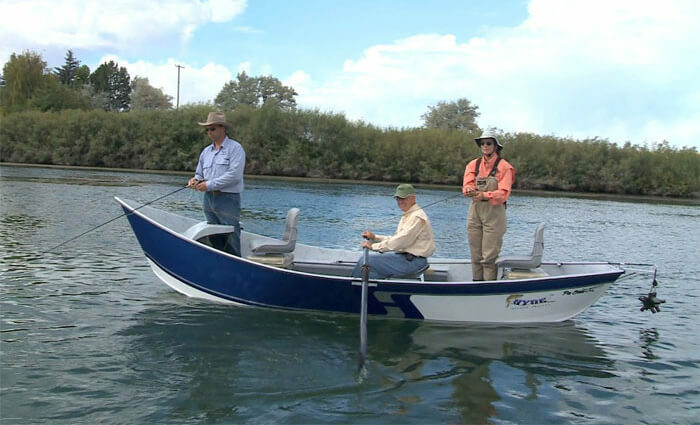 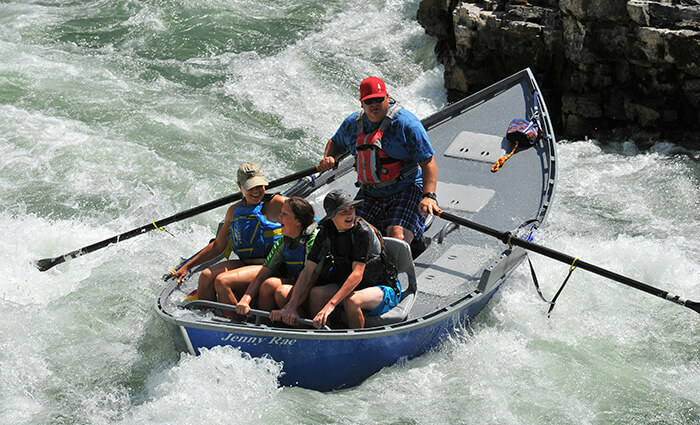 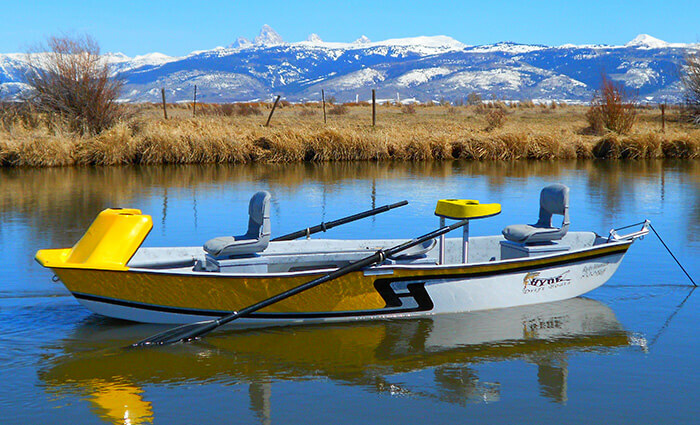 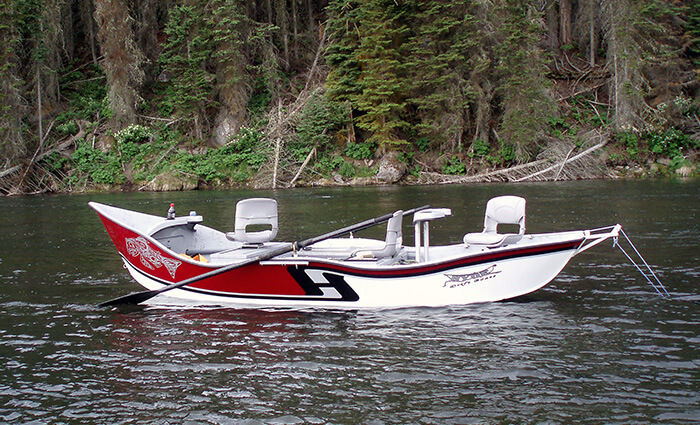 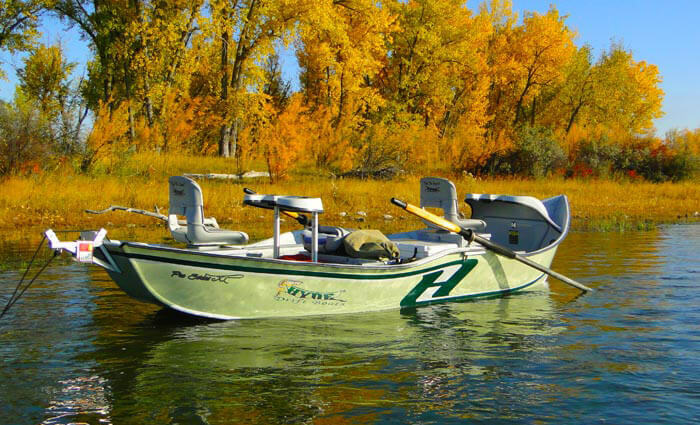 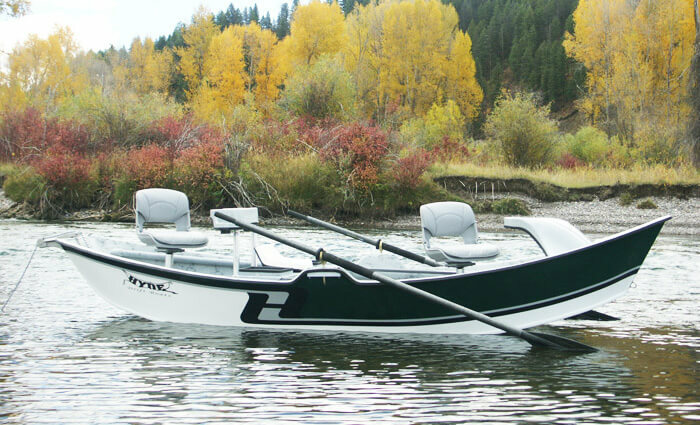 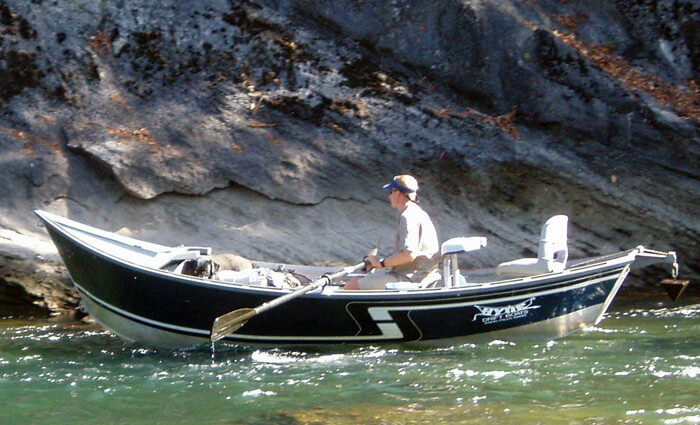 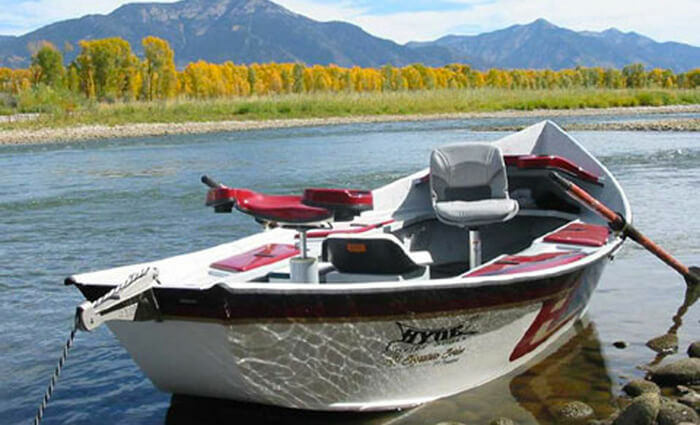 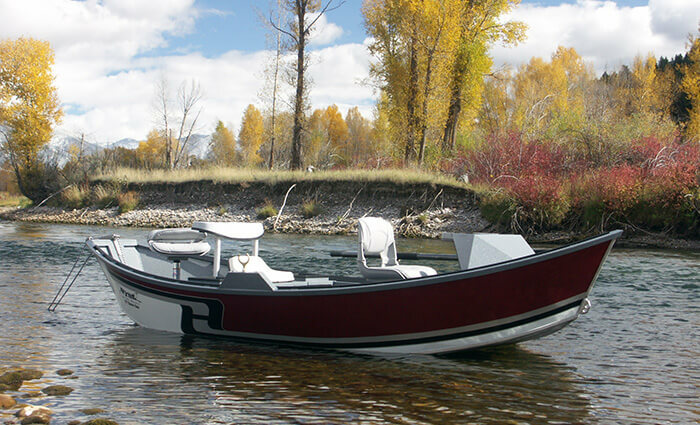 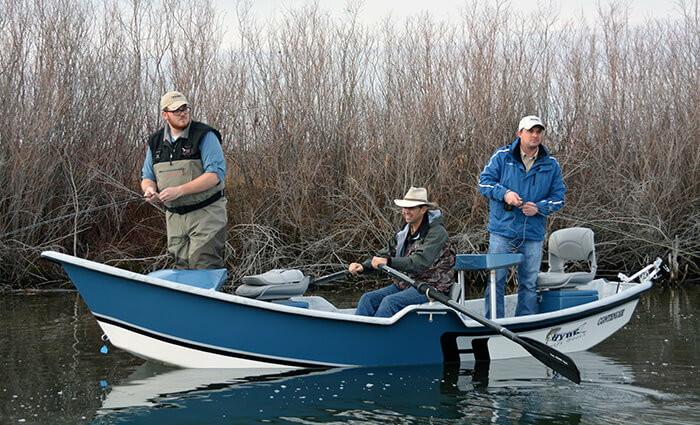 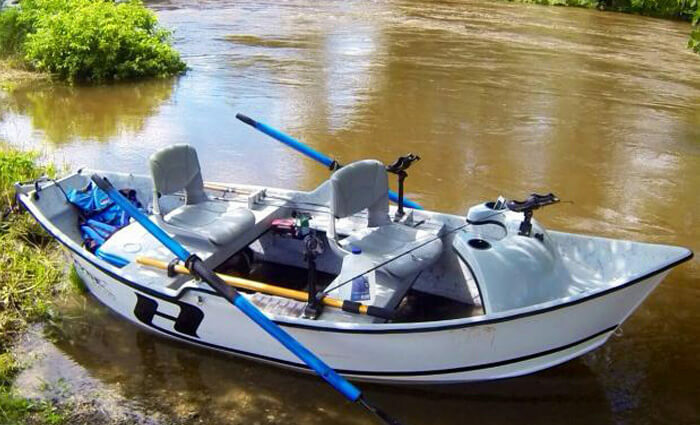 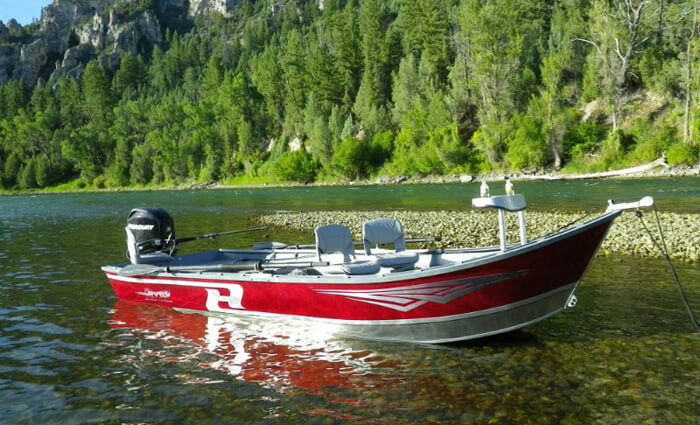 For more information on this boat call our Idaho Falls office at 1-800-444-4933 or email us. 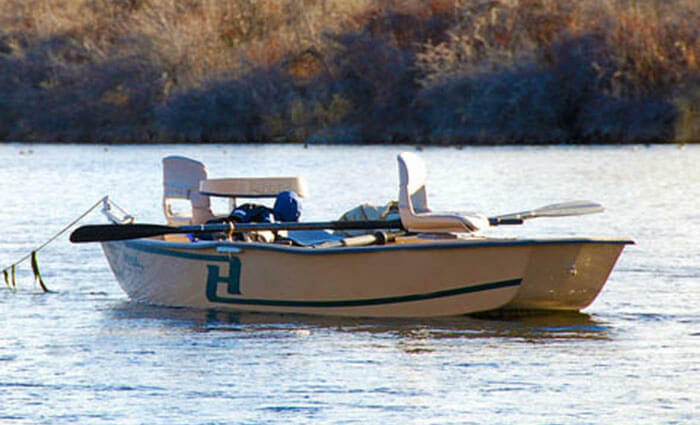 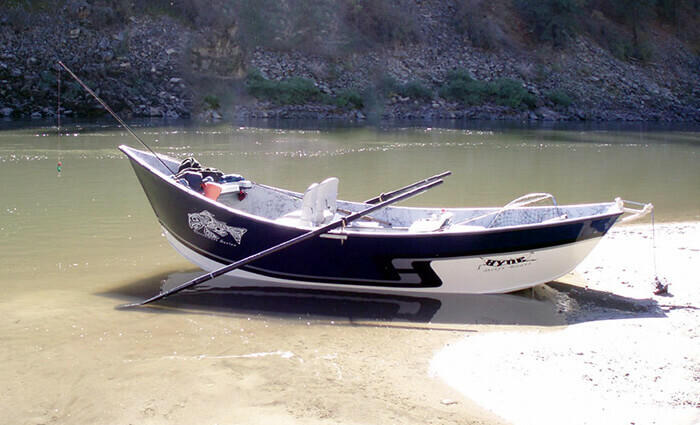 This Adipose skiff has front and rear pedestal seats, a rowers storage box, side storage boxes, open rod storage, and a floor anchor system. 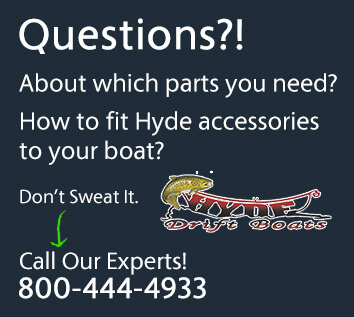 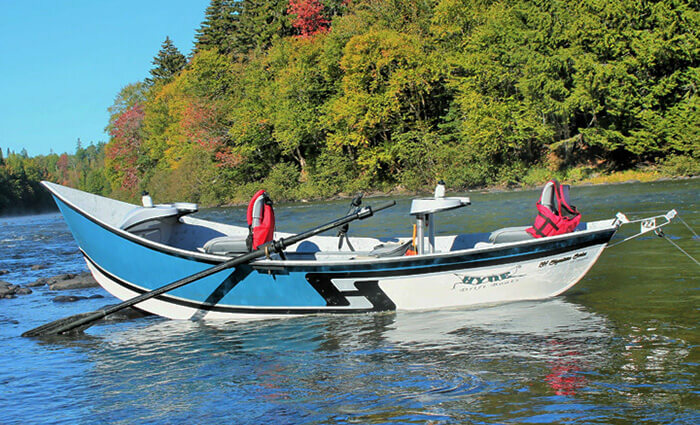 For more information about this boat, call a Hyde Drift Boat representative at 800-444-4933.